We have been long-standing sponsors of Norwich City FC as match day & ball sponsors, dug out sponsors and now, for the next two seasons, as back-of-shorts sponsor. Steve Stone, Managing Director of Norwich City FC, said: “This is another excellent deal and the first of its kind for the Football Club. 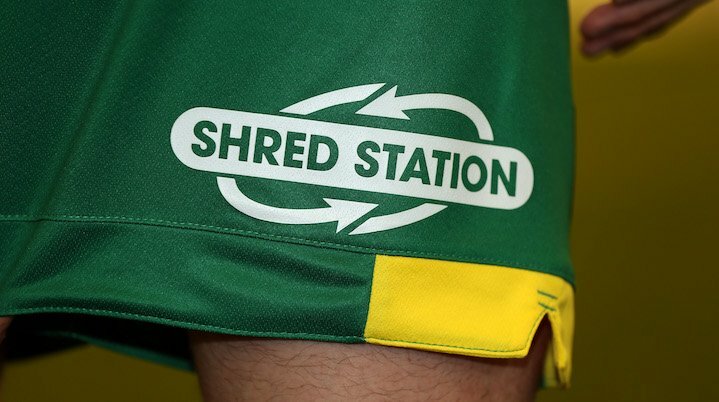 We are pleased to confirm Shred Station as our back-of-shorts sponsor and are proud to have our boys wearing their logo for the coming season. Read the official announcement on the Canaries website. 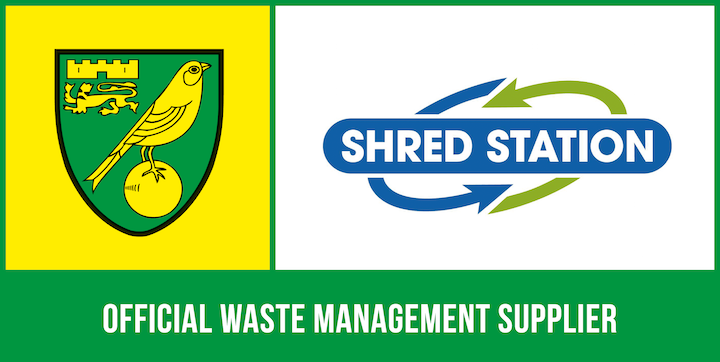 We also continue to partner with Norwich City FC as Official Waste Management Supplier to the club.